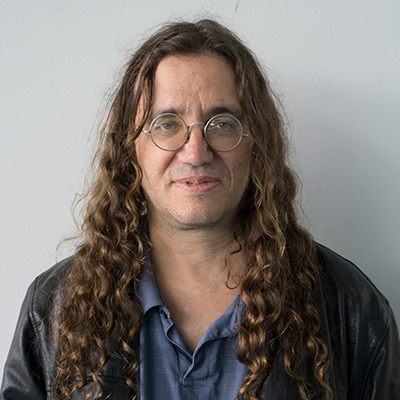 Ben Goertzel is a renowned thought leader in AI and AGI. He leads the development of the RoboCog humanoid robot intelligence architecture, using OpenCOG AI platform, at Hanson Robotics. He is also co-founder of bio-AI firm Mozi Health and enterprise AI firm Corto; Chairman of AI consulting software company Novamente LLC; Chairman of the Artificial General Intelligence Society and the OpenCog Foundation; Vice Chairman of futurist nonprofit Humanity+; Scientific Advisor of biopharma firm Genescient Corp.; Advisor to the Singularity University; Research Professor in the Fujian Key Lab for Brain-Like Intelligent Systems at Xiamen University, China; and general Chair of the Artificial General Intelligence conference series. He was the Director of Research of the Machine Intelligence Research Institute (formerly the Singularity Institute). In this talk I will outline a development path with the potential to maximize positive potentials and minimize risks in both the short and longer term. Step 1 along this path is to work right now to make sure that, as narrow AI transitions toward AGI, it is developed in a decentralized manner with broad benefit to all sentient beings at the fore. Step 2 is to work with the “global human/AGI brain” that will arise from this beneficial decentralized AGI technology, toward creation of a transhuman superintelligence that understands and embodies positive human values and incorporates them in its self-modifying growth. I will highlight 2 current projects in the spirit of Step 1 of this development path. First, the Loving AI project, in which humanoid robots and avatars are deployed to guide human beings toward consciousness expansion. Second, the SingularityNET project, in which blockchain and AI are used together to create a democratic, decentralized autonomous organization of AIs intended to evolve toward distributed, self-organizing beneficial AGI.